What it does: Minimizes pore size and blackheads. Good for oily skin and blemishes. 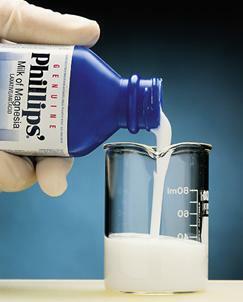 Why it helps: Milk of Magnesia is Magnesium hydroxide, which is an alkaline. This neutralizes the excess acid on skin, which causes blemishes. It also disinfects skin and absorbs oil. Can Milk of Magnesia be used on Melasma ? How safe is it to try this ?